WeTransfer is a cloud-based platform that allows users to store, manage, and share files online. It also has file password-protect and transfer history features. In this article, we cover user reviews and pricing. Ready to try WeTransfer? Start using the program for free. Users who gave WeTransfer a positive review like that they can quickly and easily send large files to their colleagues and clients. Others commended the software’s simple and intuitive user interface, as well as its free plan’s 2 GB file limit for uploading, which is enough to get them started. As of the date this article was written (10/19/18), there are not a lot of negative WeTransfer reviews online. However, some users said that they wish that WeTransfer extends the download link’s expiration period. WeTransfer has a free option and a paid subscription plan: WeTransfer Plus ($12/month). Annual subscription costs $120, which gives users a 17% discount. 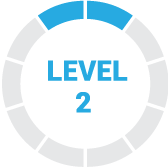 The free option comes with a file size send limit of up to 2GB, while WeTransfer Plus subscribers can send up to 20GB at a time and extend the expiry date of their transfers. WeTransfer Plus also enables users to store files up to 100 GB, password-protect their files, customize their emails, profile, and download pages, and even add their own address as the default recipient address to give anyone visiting their profile the option to send up to 20GB. Ready to try out WeTransfer? Start using the program for free. Can users access WeTransfer via their mobile phones? Yes. 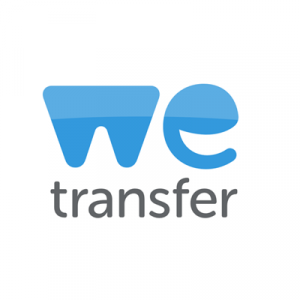 Apart from utilizing WeTransfer through their desktop computer, users can also download the WeTransfer app on the App Store and Play Store so that they can access it on their mobile phones. Can users customize their WeTransfer’s download page according to their branding? Yes. Users can personalize their WeTransfer download page by choosing their own background photos, shaping the emails that are sent together with their files, and customizing their URLs. Not sure if WeTransfer is the right fit for you? Read our reviews of all top document management software providers or check out one of these three WeTransfer competitors. 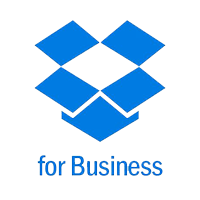 Simple, safe and easy file sharing. It’s as easy as selecting the documents, adding the email and message and just leave it to upload. You don’t really have to worry about it after that as you get an email notification when it’s done as well as when my client opens the link which means I know for sure they’ve received it. I don’t like the 7 day limit, it can cause some continuous uploading during holidays etc. I’d prefer choosing to set a limit even on the free version. Unless there’s a strong wifi connection it can take a long time to upload files. Offers a great service for free. Large files are easy to send and receive even for the technically impaired. Very simple to use. I get all my clients to use it. I do not use the full paid version, but there is not much that I see they do not do well. I use the free version. I just wish I had known about it sooner instead of trying to use drop box or something else. This is easier. It is very useful to share large files, I just have to upload it and share the link to download. When using it, I have to spend less time searching for media units, it’s a time saver. I think they should improve the collaboration function that can save time and increase productivity in the company, because the previously mentioned goes slowly in my company. I would have liked to know that the quality of the photos is not reduced, which is very important for my business. It helps to transfer files. Helps me transfer large files, like video,archives and other things. Always fast and do not waste time.I quickly upload and my customers quickly download.You can find out when the file is downloaded and you get a notification.With the paid version, you can upload scary files. I personally do not need her for the moment. But if I have to, I will take it. Worth.Sometimes we share big wedding videos here. Nothing! I am very satisfied. Haven’t purchased anything I just use the free service and its great! This is a great app to transfer large files. I use it to transfer very large video and eLearning files that won’t go through email. Our internal “drop boxes” are not big enough to handle video transport from one employee to another. WeTransfer allows me to upload my large file(s), enter an email of who it’s going to, and then you’re done. Extremely simple to use. I like that there’s a free version as well as a paid version. It gives us options. I really can’t complain about anything with WeTransfer. It’s simple, it works, and I haven’t had any technical issues with it. WeTransfer is my go-to app to use to transfer large files. I don’t know much about their company but I do know they make a great product. My video expert I worked with is the person who introduced me to WeTransfer and now I’ve shown others at my new company and now they’re using WeTransfer as well.